Most people are hesitant to replace their roofs because of the time required and roof replacement cost. However, roof replacement can actually save them both time and money in the long run. This is possible for several reasons. Firstly, diagnosing the severity of a roofing problem can be a very difficult process. If too little time or accuracy is dedicated to it, additional problems are likely to arise later on. Also, in many cases, problems may occur because of poor installation of the original roof. Sometimes, the roof material simply exceeds its functional life and caves in. In any case, if you notice problems with your roofing and it is older than 15 years, roof replacement is strongly recommended. 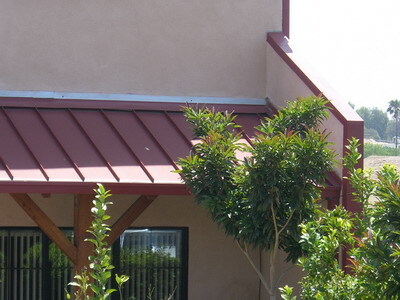 At Roof 101, we provide roof replacement for all kinds of buildings, including composition roof replacement, for both residential and commercial buildings. If you have decided on roof replacement for your roof, you will probably be trying to estimate the roof replacement cost. With so many designs, additional features and new technologies available for roofing today, it is difficult to give a roof replacement cost estimate that will be accurate for all roofing styles. This is also due to the fact that materials are bought per square foot, therefore the larger the roof, and the more stories a building has, the more expensive it will be to replace. For quotes and further information regarding a roof replacement cost estimate, or even general roof replacement information, contact Roof 101 and one of our pre-screened contractors will be glad to meet with you and discuss things in more depth according to your budget. 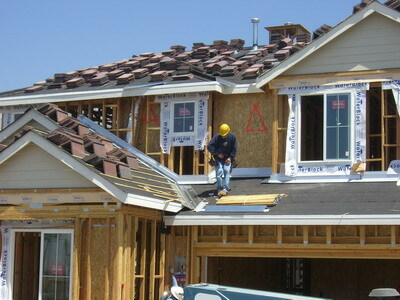 A roof is made up of more than just the sheathing. It includes everything from insulation to guttering systems, and these additions can also constitute roof replacement. In many cases, replacing flashing, for example, requires the removal and replacement of surrounding sheathing, which is likely to reveal additional problems. For this reason, always approach this aspect of roof replacement seriously, and via a roof replacement professional such as ours. More than any other kind of roofing, shingles are a very popular choice of sheathing for residential buildings today. When your shingled roof begins to show signs of malfunctioning or disintegration (which all shingled roofs eventually do), then roof replacement is in most cases the most suitable option, often saving much money and maintenance requirements in the long run. The question, though, is whether to perform roof replacement by removing the existing shingles first, or by simply applying the new shingles over the existing layer. According to most industry standards, if the roof has only one layer of shingles, and the decking is flat and in good condition, then it is not necessary to tear off the existing layer of damaged shingles. In such a case, the old layer will provide a secondary moisture barrier, and the new layer can be applied directly over them. 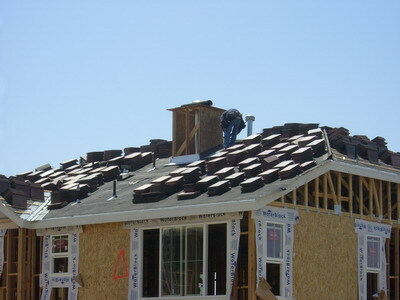 This technique can save you the cost of removing and disposing of the old shingles � a sometimes large expense. 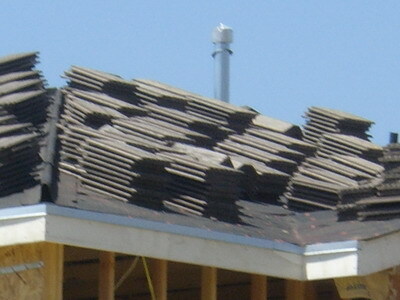 The existing shingles will have to be removed, however, if the roof replacement inspection reveals signs of rotting or warping, if the structure sags along the ridge or truss lines, if there is more than one layer of shingles already applied to the roof�s surface, or if the shingles are distorted enough to not allow the new ones to lie flat if applied.